Rita Latham is a top agent each year because her primary focus is finding the right home to suit her client’s dreams and lifestyle. She listens to their wish list, helps each client clarify their priorities, budget, time frame and works to identify the perfect property. Rita’s knowledge of real estate in the Coachella Valley gives her the ability to negotiate successfully when representing sellers and also to find buyers a home in the area that will best fit their needs and desires. Committed to building long-term relationships, she continues to be available even after a transaction is final, providing help when needed. Impressed with Rita’s professionalism and business savvy, clients come back to her again and again. They also feel confident that whenever they recommend her trustworthy and dedicated service, that family and friends will be equally pleased. Originally from the Midwest, Rita appreciates honesty and integrity. She is a proud mother of five and considers herself fortunate to have four children and nine grandchildren all settled on the West Coast. 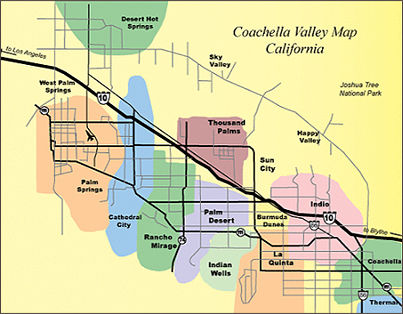 As a Coachella Valley Country Club expert, Rita also specializes in residential properties of all types within the Palm Desert, Indian Wells, La Quinta, Rancho Mirage, Indio or Palm Springs communities and Country Clubs.